The website intends to be a Meegeren platform for anybody who wants to see newly discovered Meegeren pictures or wants to have Meegeren discussions. Please click on the link NEWS. 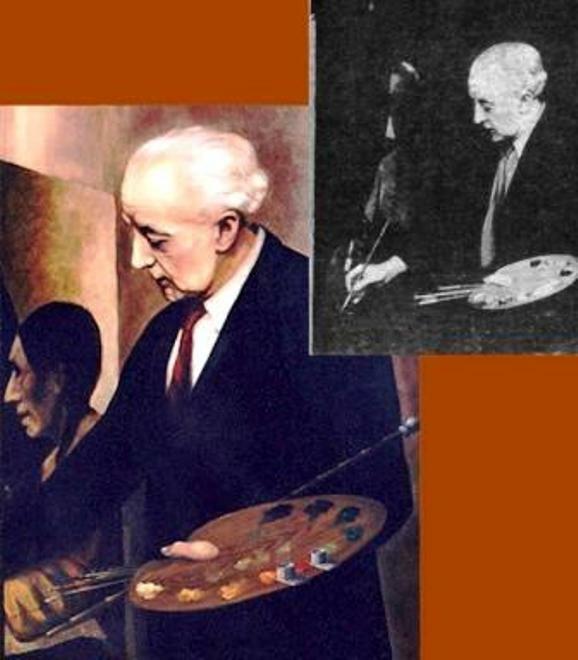 The website gives a survey of books on van Meegeren and shows his pictures. Please click on BIBLIOGRAPHY for this review. 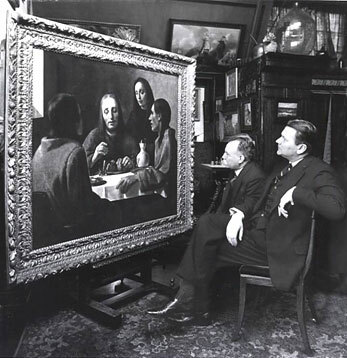 Director and chief restorer of Museum Boymans in Rotterdam admiring the newly discovered Emmaus by Johannes Vermeer that eight years later would appear to be a fake made by Han van Meegeren. Han van Meegeren (1889) studied architecture in Delft, the town of Johannes Vermeer. 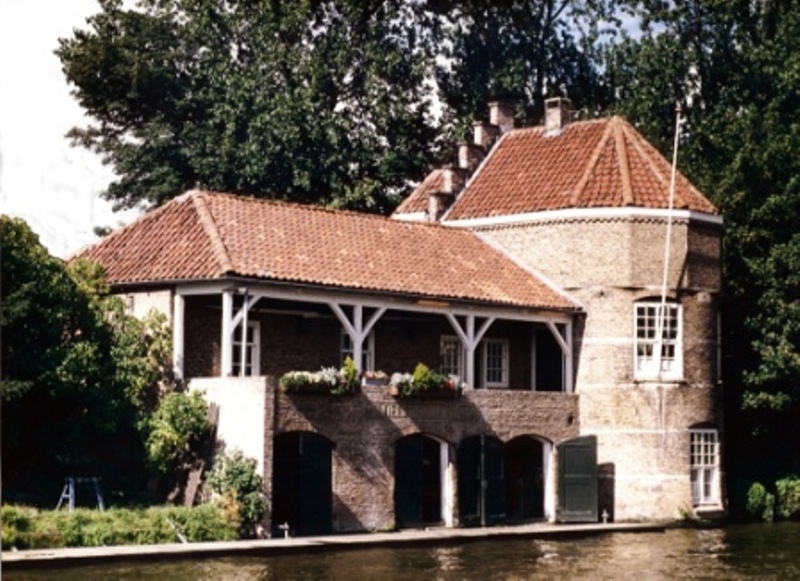 He broke off his studies to become an artist-painter, but before doing so he designed a boathouse for his rowing club in Delft. This club-house became the only architectural design Van Meegeren ever made. It still exists as can be seen in the picture below. After a difficult start, living in poverty, he became a popular portraitist, painting portraits for the upper class in the royal city of The Hague. Many fine portraits of this period still exist and are the proud possession of the present owners. The portrait of his wife Jo, below, is a fine example of these portraits. With its height of over 70 cm (about 30 inch) it is impressive as well. Van Meegeren was not satisfied with his success. He wanted to be valued as an artist of genius, not as a mere portrait painter. In 1932 he left for the South of France and worked there for many years at a fake Vermeer, a fake to become the most famous forgery ever. This was the “Emmaus”, purchased by the art museum Boymans in Rotterdam, Holland. For many years it was considered the finest Vermeer ever made. 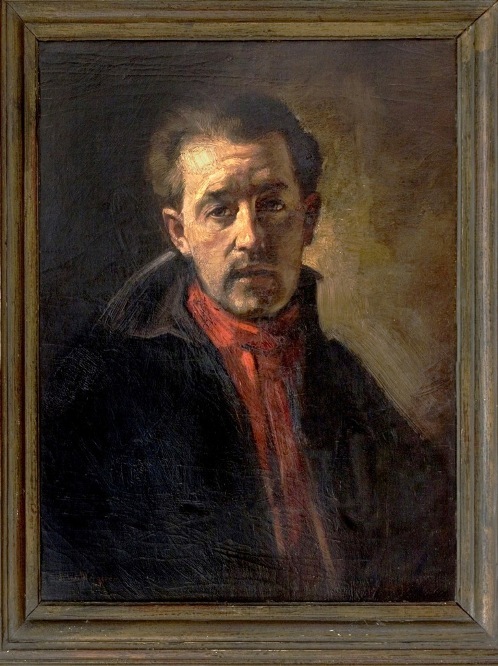 In the self-portrait below Van Meegeren is seen to paint his “Emmaus”. 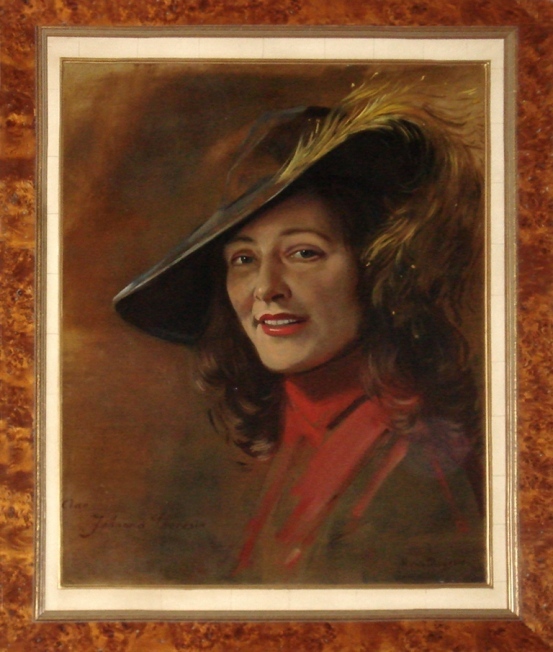 In 1945, some weeks after the conclusion of World War II, Van Meegeren was arrested because of another Vermeer; one he had sold to Hermann Goering, the second in command of the Nazi Reich. For fear of being accused of collaborating with the Nazis he confessed that he had made this Vermeer himself. “It is a fake,” he told his interrogators. At the same time he confessed having made the famous “Emmaus” as well and admitted several other fake-Vermeers, as well as fakes of other Old Masters of great repute. 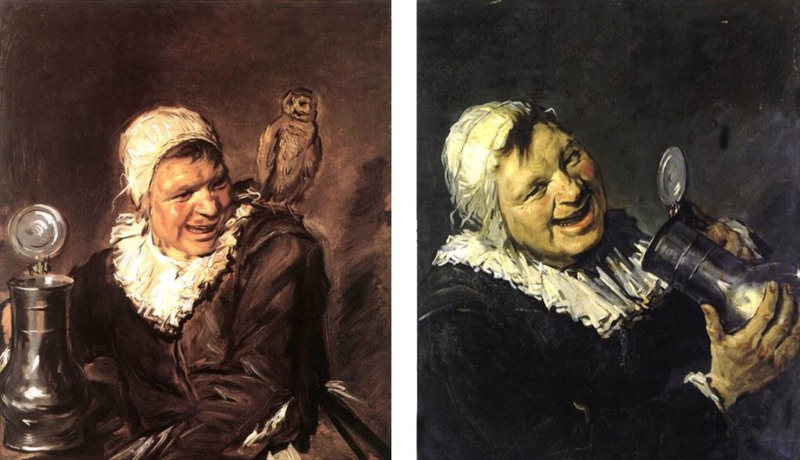 One of these Old Masters was the Frans Hals pastiche “The Witch of Haarlem” shown below (At the left-hand side the original by Frans Hals is shown, at the right is Van Meegeren’s interpretation). Van Meegeren became world famous overnight. Not as the genius he regarded himself, but as the greatest art-forger ever. He also became known as “the man who swindled Goering”. Ever since his name is a horror to museum directors, and a joy for his fans who like to collect the works he made under his own name. 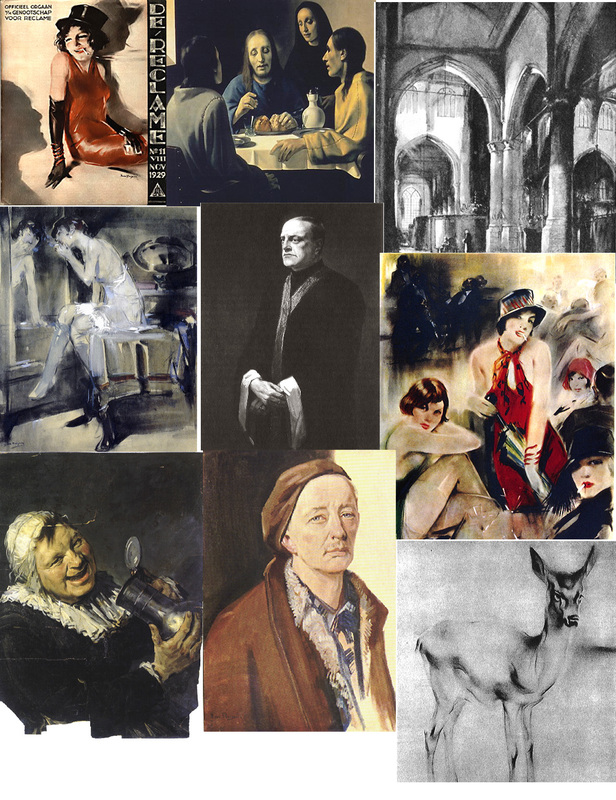 Examples of these works are shown in the gallery below. Van Meegeren died in December 1947, just before serving a year’s sentence for forgery. 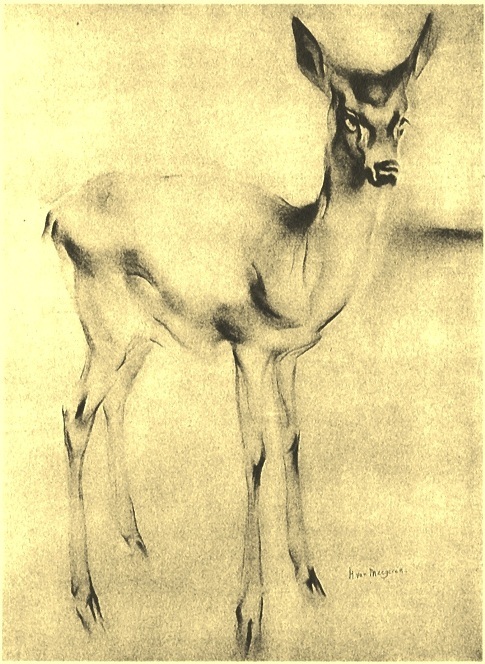 This HERTJE (Deer or Fawn) is the most famous of his works under his OWN name. 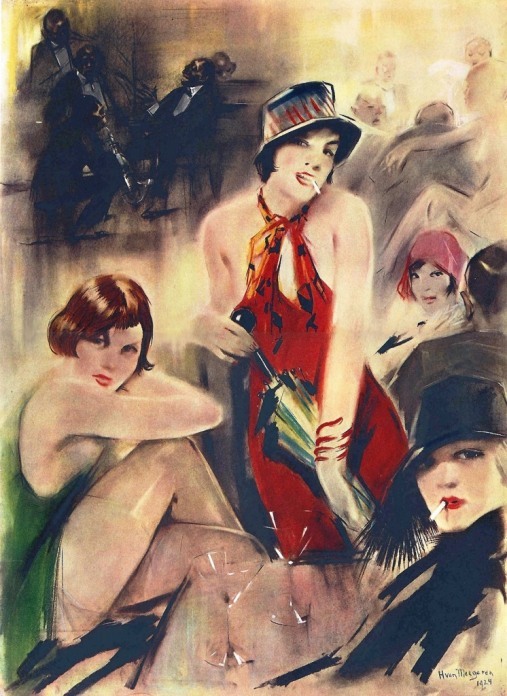 It was made in 1921 and sold by the thousands as a copper print in 1927. One in five households in Holland were said to have this little Hertje on their walls. 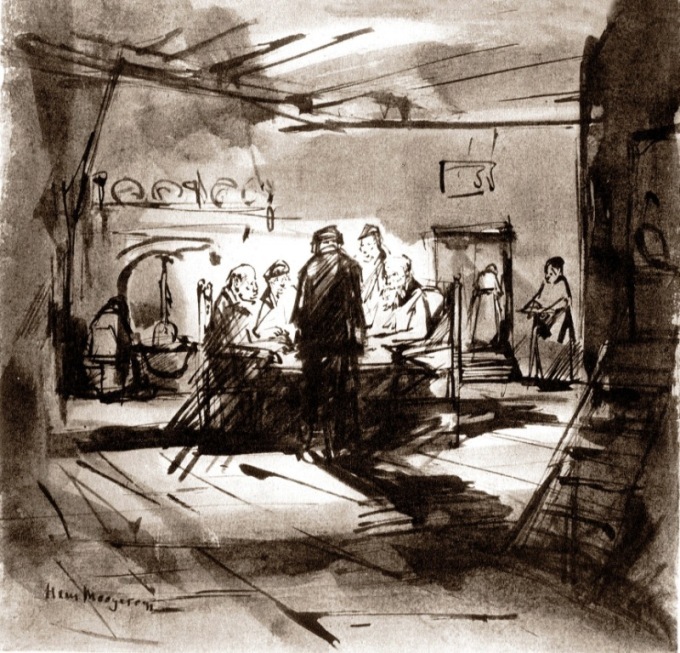 Han van Meegeren made this drawing of a country-inn, with a goose-quill, in the style of Rembrandt. He was studying architecture in Delft when he made this picture. 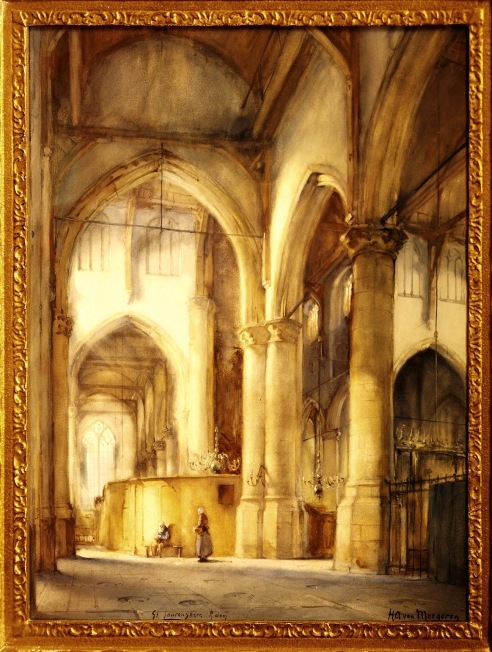 The picture is not a fake – Han van Meegeren signed it with his full name – it is his own interpretation of the style of Rembrandt. When still a student Han van Meegeren won a first prize in an art competition of his University. His interior of this church was highly esteemd. This work is not only a nice picture of Paris’ night-life but it is also a fitting picture of Han van Meegeren’s personality. He loved wining, dining, women and smoking.